The agreement with the Trump administration extends the life of the so-called "1115 waiver" — a program that safety-net hospitals have relied on for several years to serve poor, uninsured Texans — for another five years, to the tune of $25 billion. "I committed to the people of Texas that we would focus on preserving access to care without expanding a broken Medicaid system under Obamacare," Republican Gov. Greg Abbott said in a statement Thursday. The new waiver "ensures that funding will remain available for hospitals to treat and serve people across our state who are in need of top quality health care." Under the Obama administration, federal health officials had signaled they were reluctant to continue handing out cash to reimburse hospital visits when that money could instead pay for low-income Texans to have health coverage in an expanded Medicaid program. Those officials ended up extending Texas' waiver program on a short-term basis, an extension that was set to end Dec. 31. Health care organizations largely lauded Thursday's state-federal agreement. “Failure to approve the 1115 waiver would have resulted in near catastrophic consequences for the state’s most vulnerable populations,” said Ted Shaw, president and CEO of the Texas Hospital Association. “The waiver has been absolutely critical for increasing access to quality health care." "It's a great relief that this critical funding for Texas Medicaid and our safety net hospitals will not end abruptly on Jan. 1," said Anne Dunkelberg, the think tank's associate director. "But reading the fine print, it's important to note that Texas still faces the challenge of needing real medical homes for our working poor parents and other adults." The 1115 waiver was originally intended to help Texas expand its privatized managed care health insurance system for Medicaid patients and to cover spiraling uncompensated care costs borne by hospitals. The Obama administration first approved the program — a $29 billion pot of money paid out over five years — in 2011. But after Texas GOP leaders refused to expand Medicaid under the Affordable Care Act, Obama's signature health law, his administration signaled it might end the 1115 waiver. The federal government under Obama argued expanding Medicaid would cover nearly 1 million additional adults living in poverty, a move that would have given more poor patients a means to pay for care. 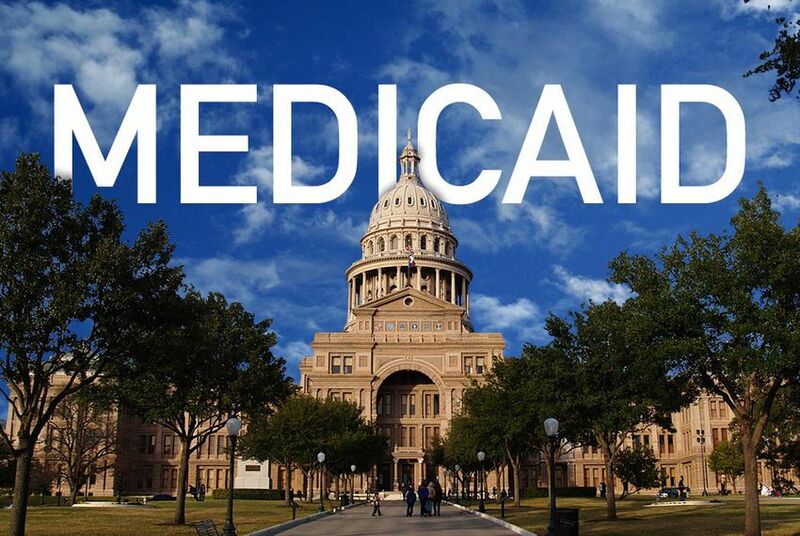 Texas officials countered that Medicaid was an inefficient government program, and that funneling federal dollars into the state's managed care system would be more effective. Disclosure: The Texas Hospital Association and the Center for Public Policy Priorities have been financial supporters of The Texas Tribune. A complete list of Tribune donors and sponsors can be viewed here.